Some renders from a 2011 project I did while working with Sparrow. 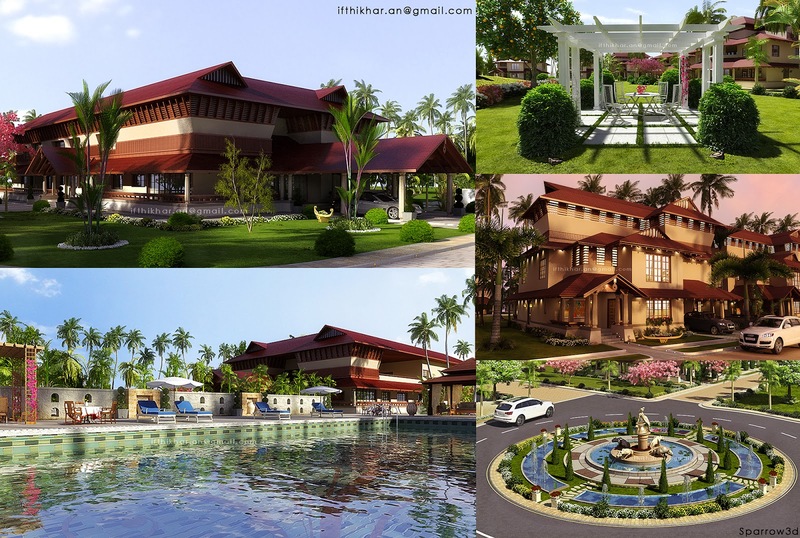 Heritage themed design for villas inspired by the Kerala and Tamil Nadu traditional Architecture. Done in 3dsmax and Vray.